After being back on track with my eating for eight days, I actually wasn't dreading doing my Wednesday Weigh-in today. Anyway, getting and staying on track this week was in large part due to my Kitchen Safe. When I went to the grocery store, and thought about buying a "problem food", I decided I would only buy what could fit in the Kitchen Safe, which isn't much. I keep the same routine with the safe each day: the safe opens each morning, I take out one serving of my snacks or whatever I plan to use that day (usually, I'll have nut butter with breakfast and then almonds and half a Clif Bar for snacks). Then I lock the rest up until the next morning! I mentioned on Instagram that I was going to buy another Kitchen Safe because mine is packed to the brim, and the kind people who developed the safe offered to send me one for free, because I'm probably their biggest fan ;) It arrived yesterday, and I immediately got a couple more things to include: Twizzlers Bites (I *love* Twizzlers, but I can easily go through a pound of them) and the Jif Whipped Chocolate Peanut Butter. I measured out a serving of the Twizzlers Bites (one serving is SO tiny!) and put them into a baggie to have for a snack later in the day, and I had some of the Jif peanut butter on an English muffin this morning. It's been working out so well--I can have my problem foods in moderation. So, happily, there have been no binges all week long! This morning, I knew I was going to run, I just wasn't sure how far or what pace. I just decided to figure it out as I was running. 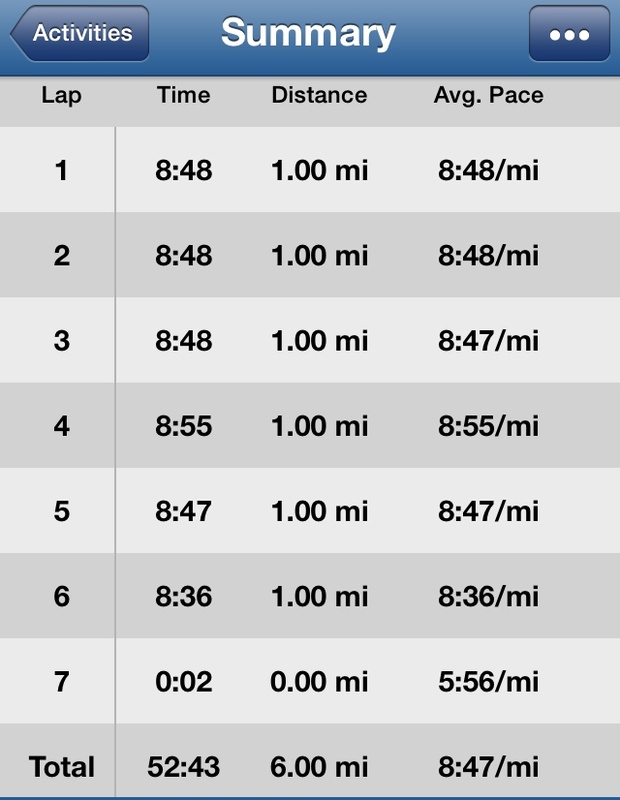 I headed out in the late morning, and when I got to the end of my street, I saw that I was running at about an 8:45 pace fairly easily, so I decided to aim for 6 miles at a sub-9:00 pace. The first few miles felt great! The sun was out, which felt good, considering the temp was in the low 30's, and it didn't feel windy at all. Even though it didn't really qualify as a "hill", it felt twice as hard because it was a slight incline and I was heading right into the 25 mph wind gusts. 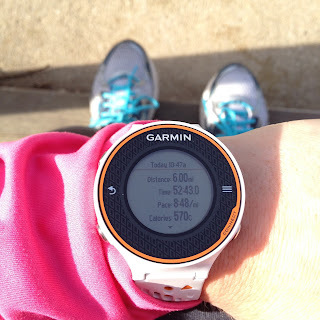 I wished that I'd only decided to do three miles, but I wasn't about to quit on my goal of sub-9's because of the wind. On the way back, I switched the screen on my Garmin to look at my heart rate, and I was surprised (but not really) to see how high my heart rate was--90% of the maximum. Running against the wind was tough! But I somehow managed to keep up the pace for all six miles. Mile four was definitely the hardest, because I was in such a shock when I turned around into the wind. Tomorrow, I am only going to do three miles at a very easy pace. 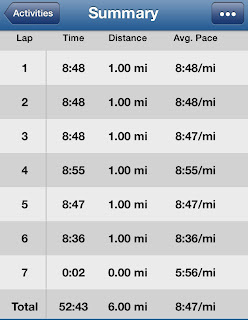 The wind made today's run much harder than I'd planned! My Garmin suggested a 72 hour recovery period after today's run (which is based on heart rate, I believe). I really like these kinds of runs, though (after they're over, of course!) because I feel good about it all day long. I was in such a happy mood all day, and I'm sure it was because of the run! I love love love Twizzlers and Red Vines. I can't leave them alone either. I've been known to eat them until I get sick! It's amazing how much more difficult wind can make things. The other day we were having 30 mph gusts and I was riding my bike and had to get off and walk! Also, the more you talk about the kitchen safe, the more I want one. I'm pretty good at just not buying my binge foods but it would be nice to be able to have them around more often. The kitchen safe is a great idea! No wonder they want to give you another one, you are a perfect product ambassador. Love the idea of the Kitchen Safe! Great job this week! Thank you so much for your previous mention of the cold-gear bottoms. I picked up a pair and can't believe how much I love them! I can go out in those and a long sleeve tech-tee and be plenty warm. I'm hoping Santa will bring me another pair. Hi! I have been following your blog for a while and this is my very first comment. I just want to say thank you for being such an inspiration and for having so many useful suggestions, and advice. I have lost 50 pounds and have 35 to go! I love your blog and find renewed determination every time I read it. I laughed out loud today when I read your post because when you talked about red licorice it reminded me of when my friend made a bet that he could eat 4 pounds of licorice at once! Needless to say he lost! haha. Thank you for the great post today!